MLJ Adoptions is a Hague Accredited Adoption Agency, and can complete international, domestic, step-parent, kinship and embryo adoption home study services for Indiana residents. 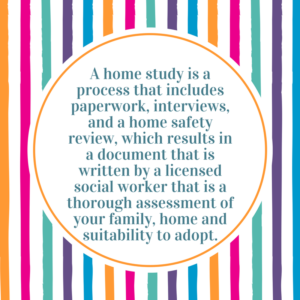 A home study is a process that includes paperwork, interviews, and a home safety review, which results in a document that is written by a licensed social worker that is a thorough assessment of your family, home and suitability to adopt. 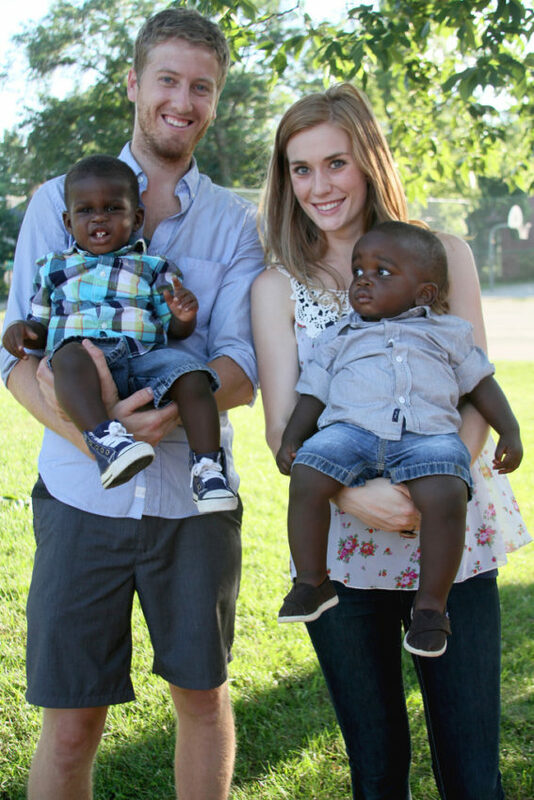 The home study can be intimidating to prospective adoptive parents! Our staff of licensed social workers will make your home visit a positive experience that prepares you to bring an adopted child into your lives. Our experienced staff will ensure your home study fulfills each and every one of the requirements established by the relevant courts, USCIS and/or foreign governments. We would love to work with you and your adoption agency, counselor or attorney to make your adoption dreams become a reality! Home studies completed for our clients by other agencies, including all those who reside outside of Indiana, will be reviewed by MLJ Adoptions’ staff to ensure that all state, program, and USCIS requirements are met. This is to protect your adoption and to increase the speed of your process by preventing any need for additional paperwork, documentation, or wait times. Due to the Universal Accreditation Act, we require that all MLJ Adoptions’ clients only employ Hague Accredited adoption service providers to complete their home studies. For a list of Hague Accredited adoption service providers with whom we have a cooperative relationship by state, click here. If you have questions about the home study process or how to get started, please contact us.